Remarkably consistent are the only words that come to mind when thinking of South Korea's longest running metal band. A two decade existence and five full-length albums have afforded Newk an extraordinary career--if not one of unknown circumstances--making the group's first two records notoriously hard to find, with the most recent three easily located on various music distribution websites. Promotion for their fifth release, Nuclear Weapon, has been zilch, if any, and the band continue to build their fan base through quality album after quality album with no airplay or exposure--a decidedly Iron Maiden-like approach to music. 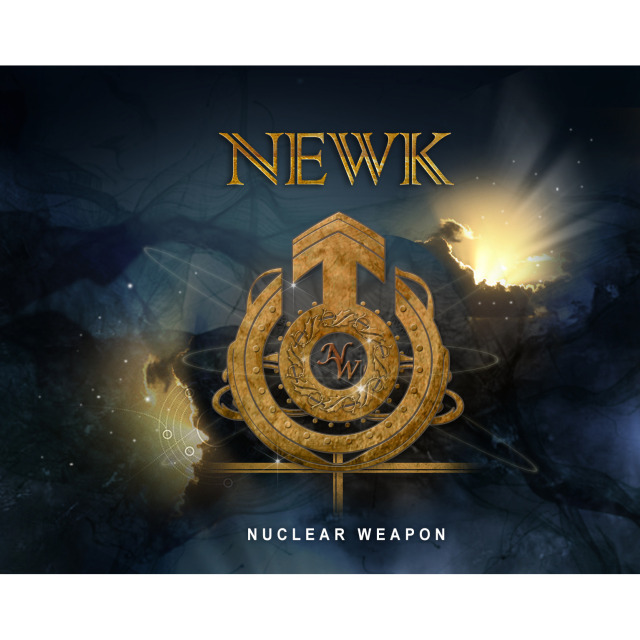 Unlike the previous two records, Nuclear Weapon wipes the slate clean and moves forward with very few English lyrics, placing most emphasis on guitar solos and vocals bolstered by guest musicians. A natural progression from Heavy Life, each track is still distinctly Newk, and the band persist with their patented take on traditional metal introduced nearly 20 years ago. 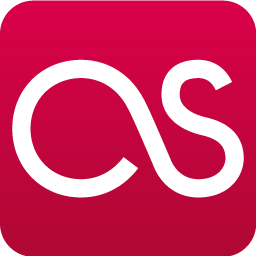 For what the group has described as a "heavy metal symphony" the approach is surprisingly minimalist, but still enough change to garner a look from both existing fans and Newk newcomers. The lack of English lyrics, no matter how jumbled, hurt the band's past hope for a worldwide audience. Despite less then perfect English, Nuclear Weapon's lead single, "The One," fits the bill for widespread distribution, but ultimately falls flat on its face in execution. The idea of forgiveness and sorrow are certainly evident upon listening; nevertheless, they feel awkward and end up as fragmented print inside the album's booklet. The following track, "The Blessed Land," is Newk's foray into power metal, with stampeding double bass and a soaring chorus line--not a bad effort by any means and the addition of a scorching guitar solo seals the already sweet deal. Surely a leftover from Heavy Life's recording sessions, "떠나버려" borrows shamelessly from "We Need," while "Farewell" contrasts it heavily with synth and a hard rock-like intro fit for happier music. Possibly the only filler on the record, "인연," proudly proclaims itself as ballad trash; skippable at best and a generic step down from the rest of Nuclear Weapon. Like its predecessor, "그림움의 기억" drops into clean guitar-backed verses but explodes into a mess of melodic distortion much like the band has done in the past. While Newk have definitely taken a slightly different approach to songwriting, they stay familiar at their roots and never truly remove themselves from their comfort zone. Even so, "괴로움의 낙원" forges ahead with another deceptively simple opening, as does "Run Again." The latter's pre-chorus and chorus bear undeniable Joe Lynn Turner influence--especially vocally--and hints where the band pulled inspiration from in their push for experimentation. 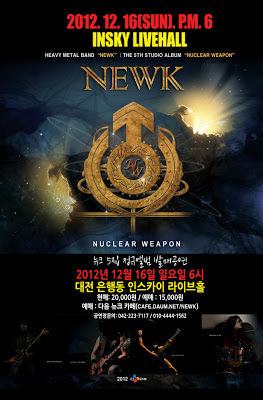 Nuclear Weapon's punch in the face comes next, thankfully, with one of the best tracks of Newk's career: "고통의 수렁's" glorious combination of schizophrenic synth, harmonized guitar riffs, and an instantly memorable chorus stand as a testament to the newly-formulated standards the band applied to songwriting. The closer, "왕의 자리," is, again, definitive Newk in many ways and unforgettable at that. In spite of being typical Newk past light changes in sound, Nuclear Weapon might be the band's best effort to date. Just edging Heavy Life and Glorious Warrior off their pedestals, Newk's fifth release remains an enigma inside the heavy metal world: how can a band so old, yet so accomplished, remain unnoticed even in their home country? Regardless, Nuclear Weapon is not a release to be missed and grows better with each listen. Grab it while you can. Favorites: "Run Again" and "고통의 수렁"